Matching the dirndl and the icing on the cake. The right necklace for a dirndl turns a dirndl into the perfect dirndl. 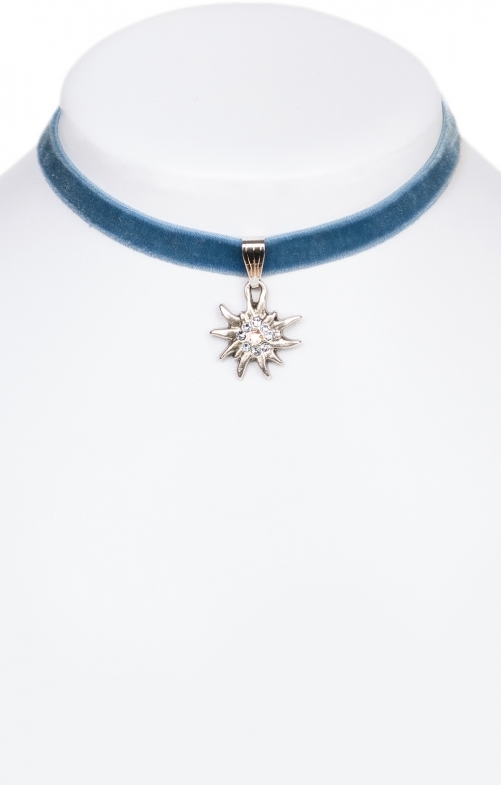 Previously a choker, now modified, kept narrow and worn close to the neck, the light blue velvet ribbon chain fits wonderfully to the dirndl and looks young and fresh. The little alpine edelweiss is studded with light blue rhinestones and provides some shine and glamour in the outfit. The velvet ribbon is adjustable in width and fits all standard neck sizes.